Hard to top this for a finish. A late penalty miss, an even later equaliser and a moment of controversy in between. 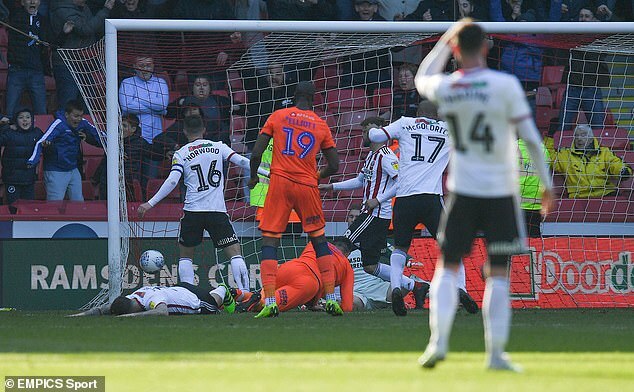 It all ended with Sheffield United spilling two promotion points, Millwall gaining one in their battle to stay up and the home manager confronting the referee in the centre circle. 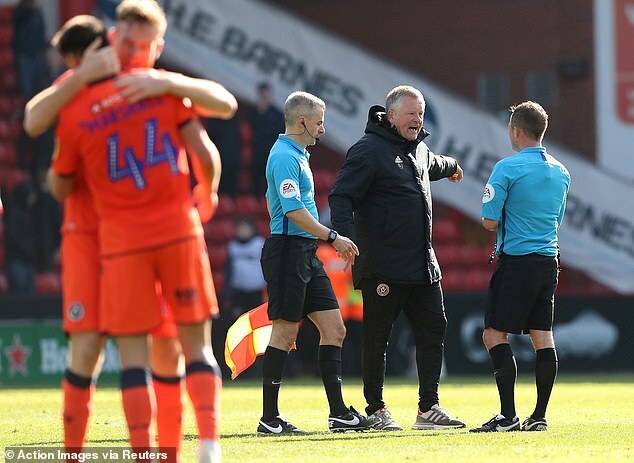 An angry Chris Wilder branded all of it ‘uncharacteristic’ from both himself and his side after Jake Cooper punished them deep in stoppage time. 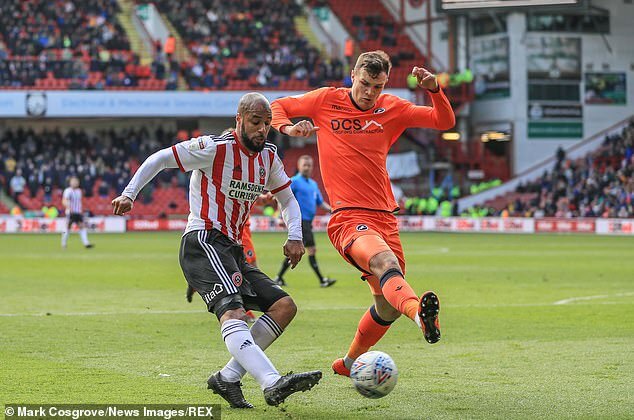 Bramall Lane had been holding its breath for a second time – after the let-off of Millwall substitute Ben Marshall scraping the bar from the spot. 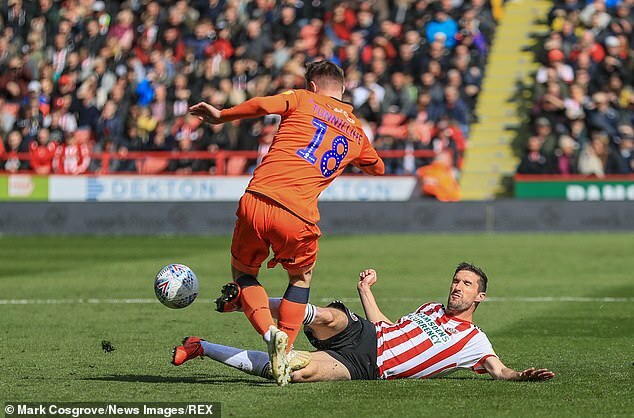 Only for Cooper to pounce for the last-ditch leveller after a header from Tom Elliott, impressive from the bench, had been parried by Dean Henderson. 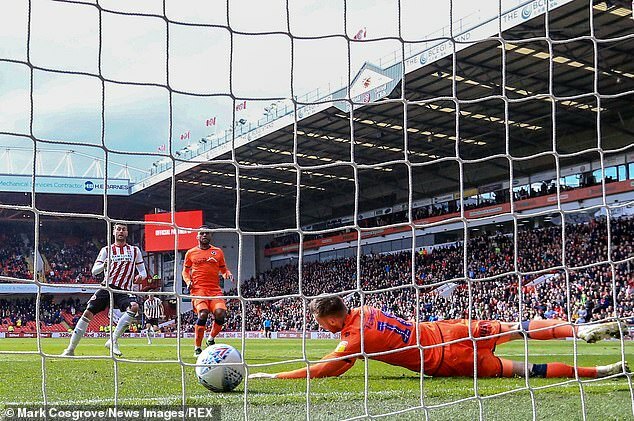 But the flashpoint for Wilder was just moments before when, at the other end, what he called a clear foul on David McGoldrick went unpunished. But Wilder insisted his players, and not the official, were most culpable. ‘We went backwards,’ he said after his side visibly recoiled from a winning position in the wake of Gary Madine’s 51st minute goal. The cost was heavy in other respects, too. 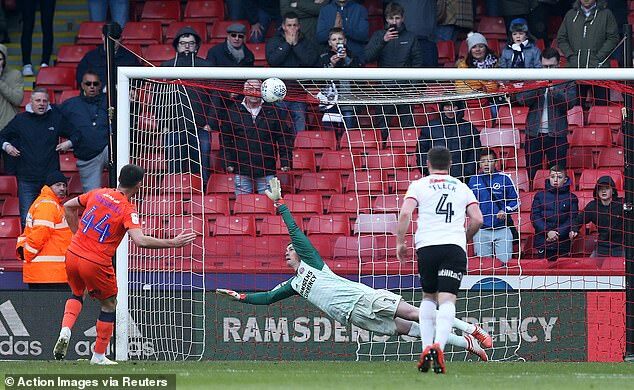 John Egan, who handled off the line from under the crossbar for the penalty award, will be banned for Friday’s visit of Nottingham Forest after being sent off. In addition, skipper Billy Sharp and defender Chris Basham, both forced off, are major doubts with hamstring injuries. 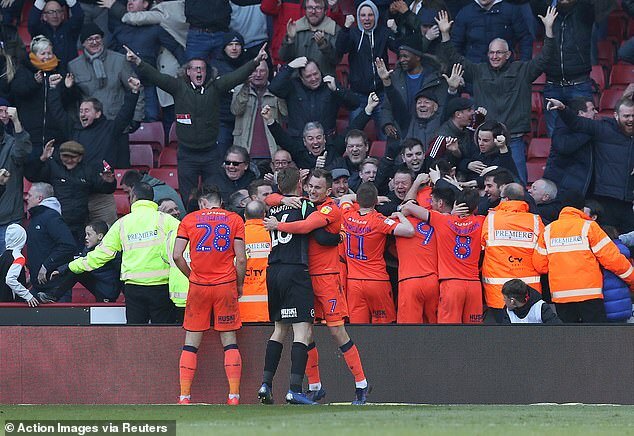 But the day was a triumph for Millwall, beaten only once in their last six games. After falling behind, when Madine finished off a brilliant combination between McGoldrick and John Fleck, Millwall changed tack to throw everything forward. Elliott played a major part. It was his header that produced what Harris jokingly called Egan’s ‘great save’ under the bar. And there was agreement from Wilder, too, that Millwall deserved their point.